HaySparkle: Soap & Glory Free Makeup Gift With Purchase! Soap & Glory Free Makeup Gift With Purchase! Soap and Glory have an amazing deal on at the moment which is almost impossible to resist, from now until the 26th of December you can get their Eyes Queen Gift Set* for FREE when you spend £14.00 or more in a single transaction on any Soap and Glory cosmetics in Boots stores and online. As I'm sure you all know by now I'm a massive Soap and Glory fan so spending £14.00 on their cosmetics is pretty easy for me, I absolutely love their blushes, kohl eyeliners and matte lip crayons, I seriously cant recommend them enough. Within the Eyes Queen Gift Set are two of Soap and Glory's best selling makeup products, both of which are full size and worth a whopping £16.50, this is literally a corker of a deal and such great value so I'd snap it up whilst you can beaut's. 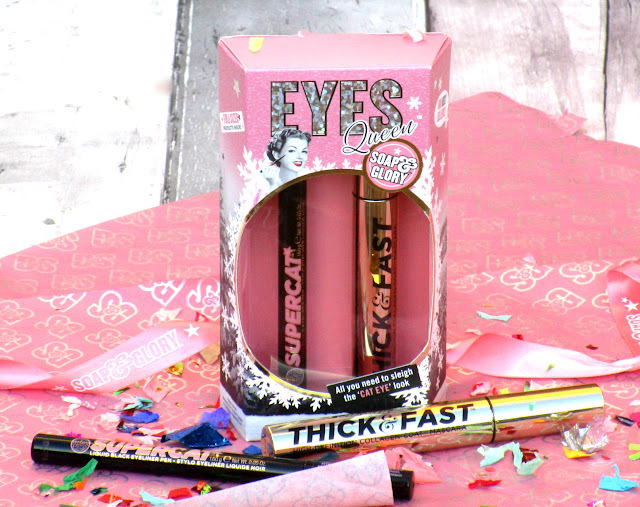 The set includes two of my Soap & Glory favourites - a Thick & Fast HD Mascara and the Supercat Black Eyeliner Pen - I've actually repurchased both of these over and over again, their regulars in my makeup bag so I was super pleased to see them within this set. 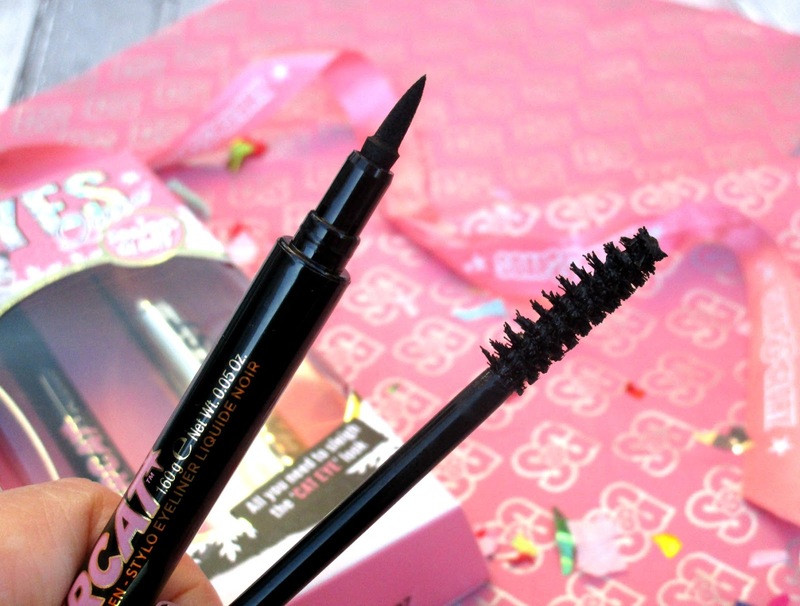 As I said before I LOVE the Thick & Fast HD Mascara and the Supercat Black Eyeliner Pen, their a duo that never leave my makeup bag. The Thick & Fast HD Mascara features a 7-sided fan flare-180 brush along with a strength-building Collagen formula which creates length, volume and definition as well as being super intense, smudge proof and flake free. The Supercat Black Eyeliner Pen is again a super intense inky black liner with an easy to use felt tip nib, I'd definitely recommend it for beginners because of it's shape, it just feels like your drawing it on he he. It's also super long lasting on me too and doesn't fade, run or smudge all day long. This is an amazing deal, I love Soap & Glory and this is the first I've heard about it, thanks so much for posting I know where I'm going this afternoon! !